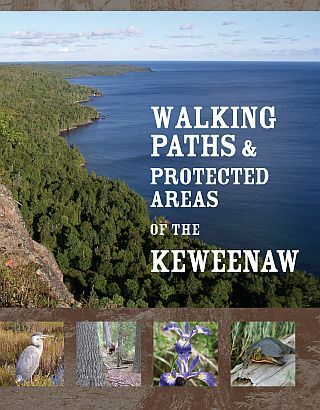 The Michigan Nature Association announces the publication of a new guidebook titled Walking Paths & Protected Areas of the Keweenaw whichdescribes twenty-two sanctuaries & preserves in Houghton and Keweenaw Counties. Each description includes driving directions, a trail map, interesting plants, animals and geology, and conservation history, along with color photos of each site. The guidebook is a collaboration with other land conservation organizations and units of government with protected lands in the Keweenaw Peninsula. 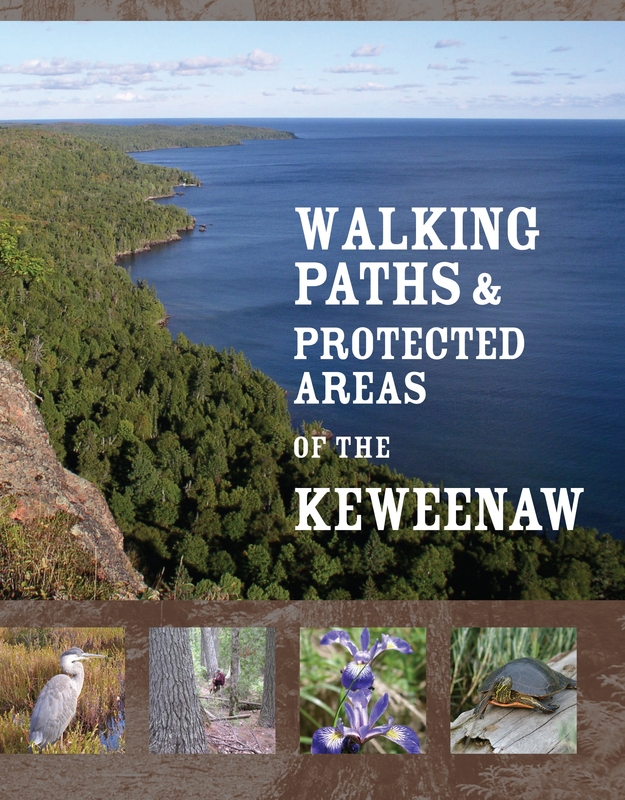 The new guide is designed to increase awareness of local land conservation efforts in the Keweenaw; and the special habitats, unique features, and interesting plant and animal species found in Houghton and Keweenaw counties. In addition to describing sanctuaries, the new guidebook describes each of the land conservation organizations and governmental units engaged in protecting land in the Keweenaw. Each organization welcomes volunteers and donations. Susan Sanders was the graphic designer and the maps were prepared by Clare Rosen. Each partner organization wrote the descriptions for their sanctuaries and provided photos. The Michigan Nature Association published the guide. The sale or commercial use of Illustrations, photographs and graphic images presented on this site is not permitted. Educational uses are permitted, provided credit is given to sources.